It is almost time for Read Across America! Time for reading...and science! Time for Oobleck! 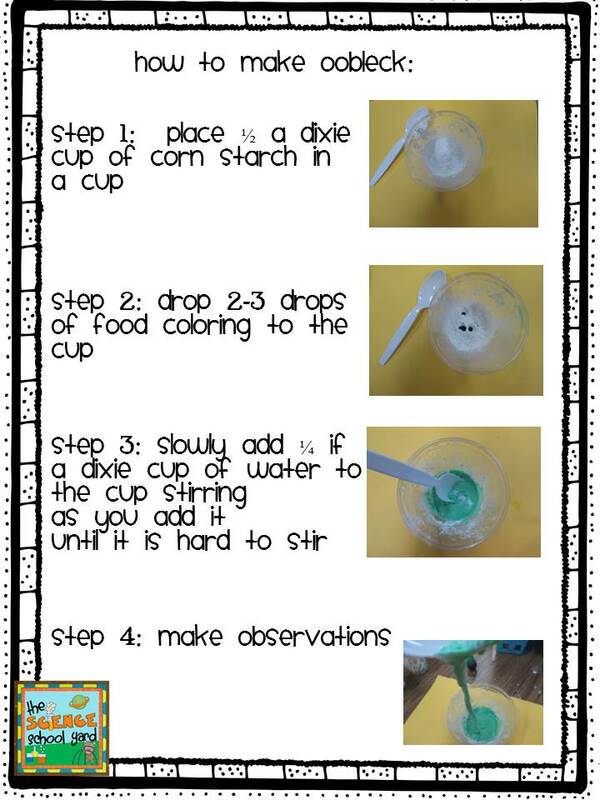 This simple science activity is sure to get them excited about both! 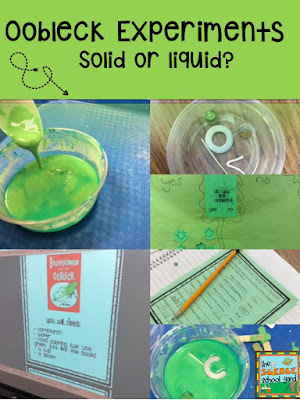 I am so thrilled to share one of my favorite lessons that works perfectly with my FOSS Solids and Liquids Unit. We spend a lot of time trying to add engaging activities to our school day and this one seems to really surprise and amaze my students. 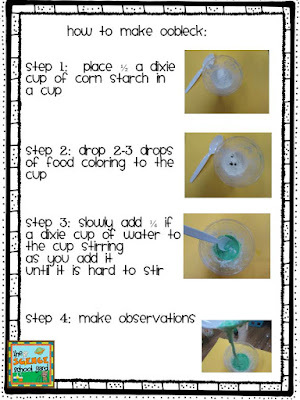 The book Oobleck is a fun Dr. Suess book that links science into your classroom! 2. I then share with them that today we are going to learn about something that acts like a liquid and a solid. I then share with them it is all because of King Derwin of Didd. I then share with them the book. It is a long book...but reading it and changing your voice keeps them engaged! 3. 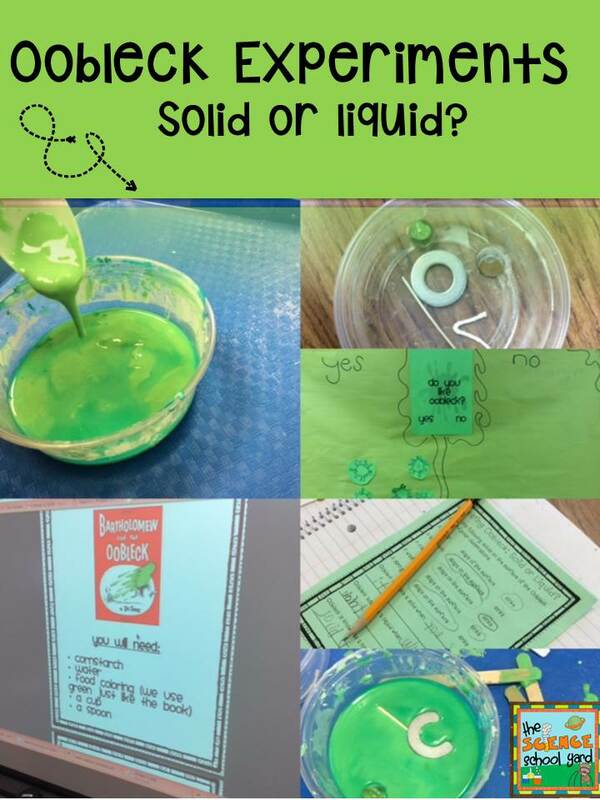 We then use the the Oobleck sheet that has them see how Oobleck acts...Is it a solid or liquid? 4. We continue our experiments with five objects that either sink or stay on the top. The students are amazed as to how it acts. 5. We wrap up by writing the recipe for Oobleck and understand a non-Newtonian fluid by filling in the blanks. 6. I they get done early I have them add to our classroom graph...Do You Like Oobleck? 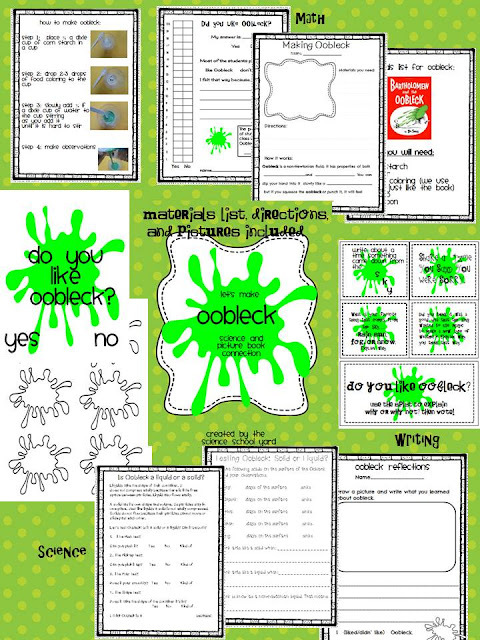 You can find my OOBLECK TPT Pack Here!